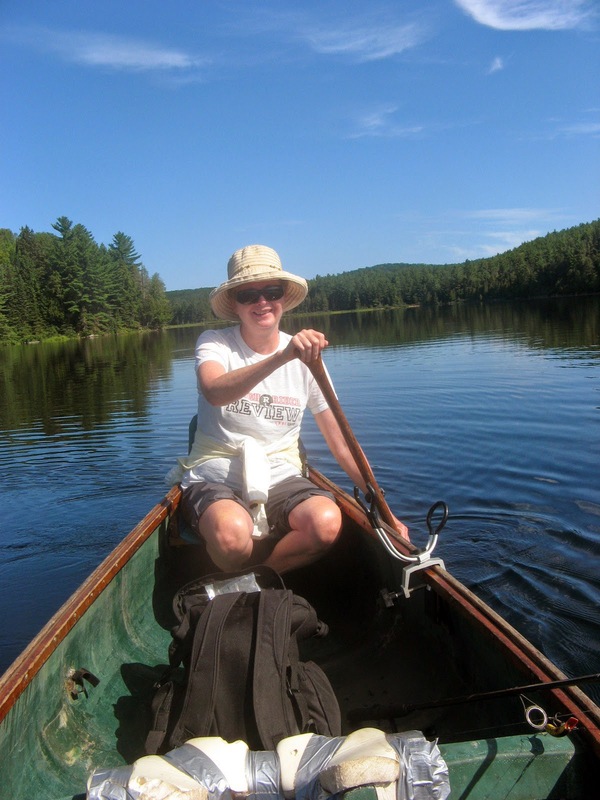 I’ve been canoeing in Algonquin Park ever since I met my husband. You might even say we had our first date in a canoe…but that would be exaggerating. After all, our first date was in December. But it was only a few months later that he managed to convince me to go canoe camping with him. I had never even been in a canoe before. So he gave me a few paddling lessons, told me what to pack, and what NOT to pack (i.e. my blow dryer!) and off we went…. for the May 24 long weekend, 1985. I won’t say that it was an entirely enjoyable experience that first time. One long, seemingly interminable, paddle, one long portage (carrying all our gear and the canoe), another short paddle, a second portage and a final shortish paddle. Whew… it seemed to me that we would never reach the lake where we were camping. I was nervous the whole weekend… about bears in particular. And then on Saturday while we were out fishing…it snowed…albeit briefly…but still…SNOW?! Over the years I’ve become a pretty good paddler. I’ve stopped worrying about how my hair looks and have become used to sleeping with a tiny pillow on a tiny air mattress. I’m rarely nervous, even at night. And I have grown to love the campfire, the sunsets, and the quiet. Still, it was not without trepidation that I contemplated our trip this year. I hadn’t been into “the park” since 2010. My back had been playing up for the last few weeks. Our really wet spring guaranteed there would be bugs… lots of bugs. 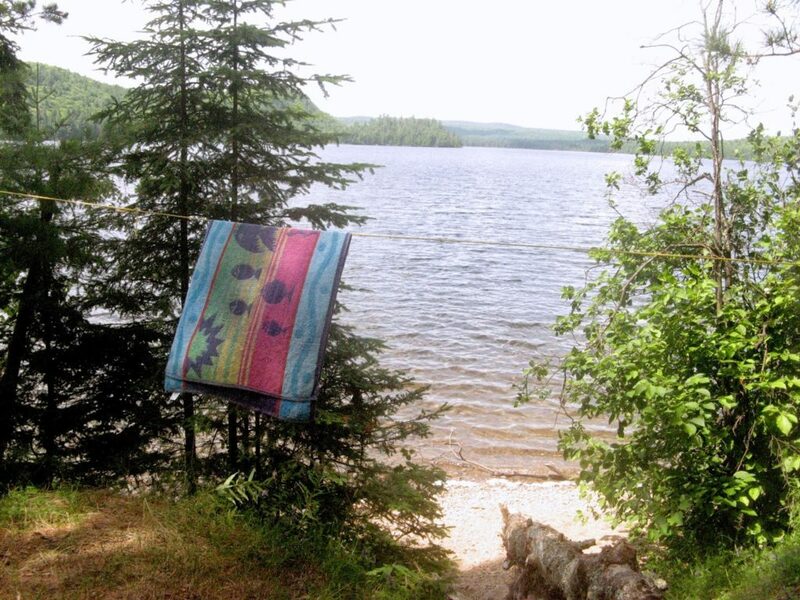 But it’s our 25th anniversary this year… and we went to Booth Lake in Algonquin Park on our honeymoon. We had to go. So we packed. Getting everything into three big packs and one small fishing bag is not easy. 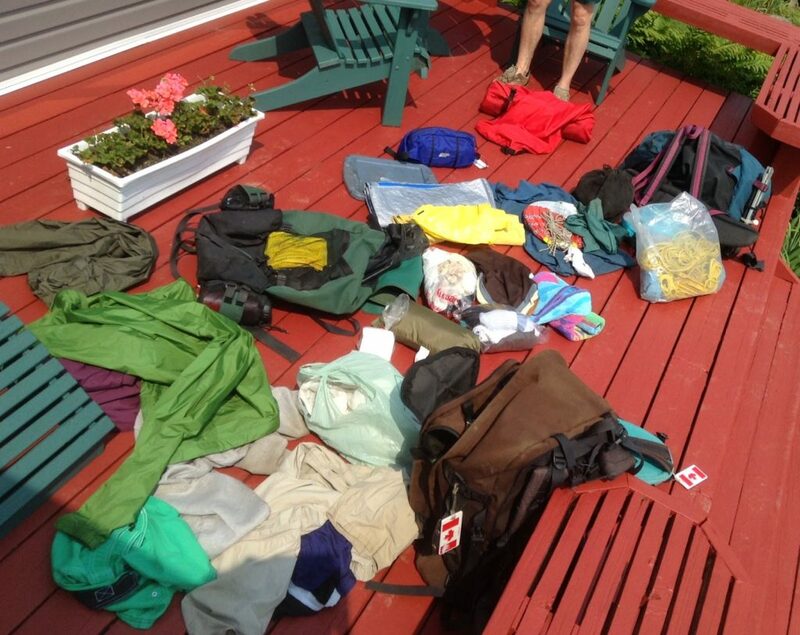 In the shot below, the tent, sleeping bags and air mattresses are already in the packs. All the rest of this stuff had to go in too….and we still had to leave room for the food. I’ve learned to travel light. Very light. 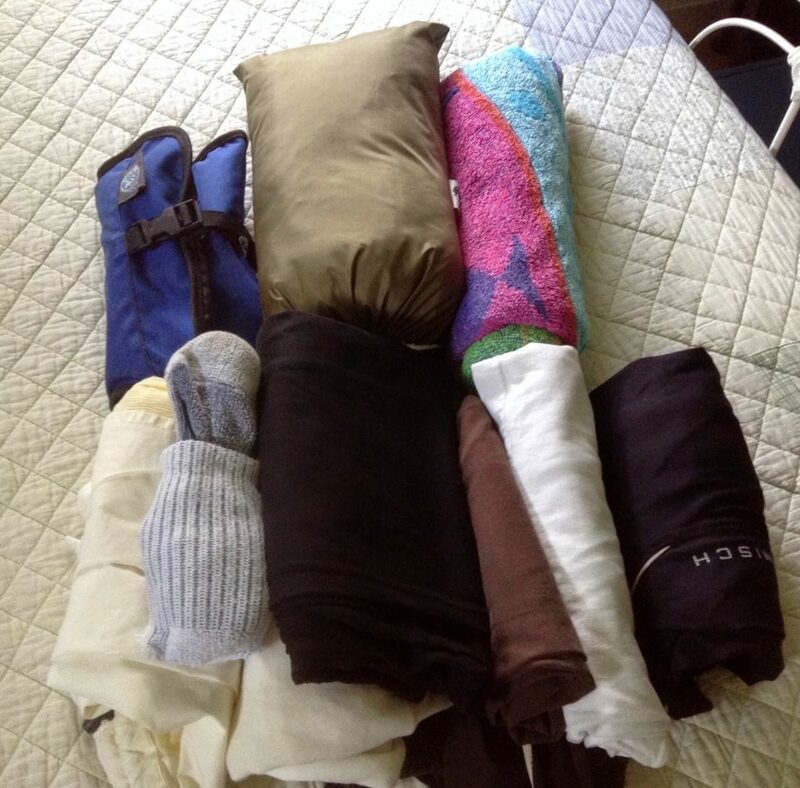 That’s all I packed, below… including my pillow, my towel and my cosmetic bag… filled mostly with bug repellent, after bite cream, sunscreen and muscle relaxants for my back. 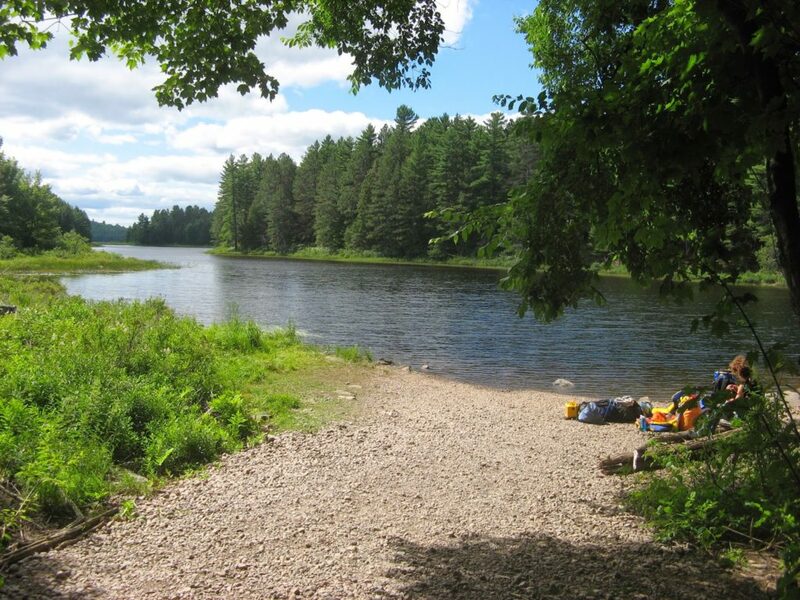 Below is a shot of the access point…where we unload the truck, put everything into the canoe and head out. I don’t have a picture of what it looked like on the day we set off this year. That’s because it was raining. Hard. And I didn’t want to get the camera wet. And I wasn’t in a mood for picture taking; I was too busy struggling into my rain gear. We’d barely begun paddling, not even out of sight of the parking lot, when my hip and lower back began to throb. 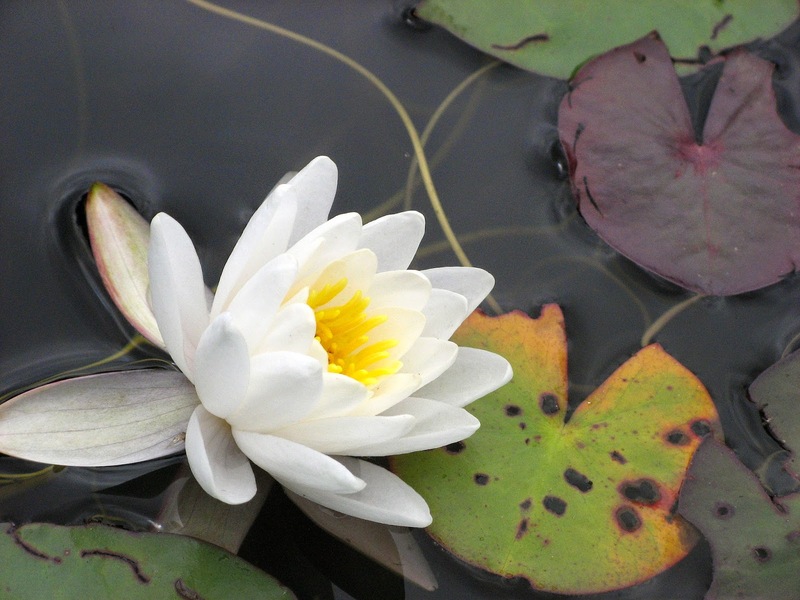 I shifted my position, knelt on the bottom of the canoe, and the pain eased. “I’ll loosen up,” I said to Hubby when he suggested we abort the trip. The rain eased up when we reached the portage an hour later. It takes another hour to carry our packs and canoe through the portage and I felt better to be up and walking, even if it was with a pack on my back. 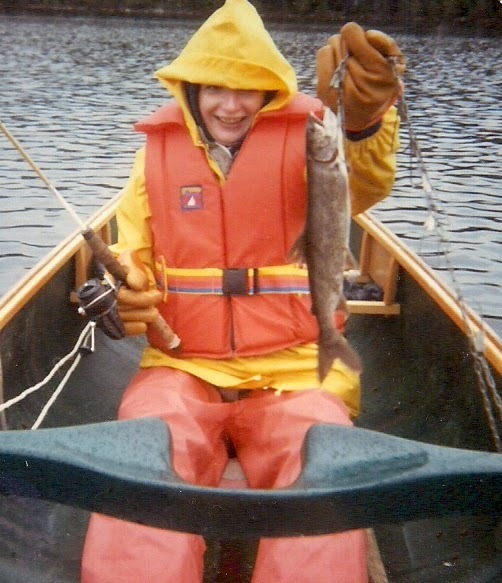 Then just as we had loaded up the canoe and pushed off … the rain began again. And my back began to throb… and my ten year old Gortex rain jacket decided to give up the ghost. In minutes I was soaked through. Another hour later we had reached our campsite, but it was raining too hard to set up. By now, tired, in pain and sooo wet, I began to shiver. Misery… thy name is Sue. We came very close to turning around then. Hubby suggested that if we left we could be back at the truck by 6:00 and home by 9:00. I only had to make the call. I knew he would feel guilty if we stayed and I was hurting and miserable. But I would feel guilty if we turned around, went home after all the work to get ready and get up here…and my back made a miraculous recovery. And besides it was Hubby’s birthday today. I sniffed and gritted my teeth and we stayed. And of course things got better. Our friends arrived a while later and helped set up a large tarp for shelter from the rain. Then the rain backed off. We put up the tent, scavenged for wood for a fire, and before it set the sun came out briefly. Amazingly we even went for a swim. Then… in dry clothes having washed the bug repellent off my face and hands…. I stood in front of the fire and sipped a glass (i.e. plastic cup) of wine… ahhhhh. That was better. 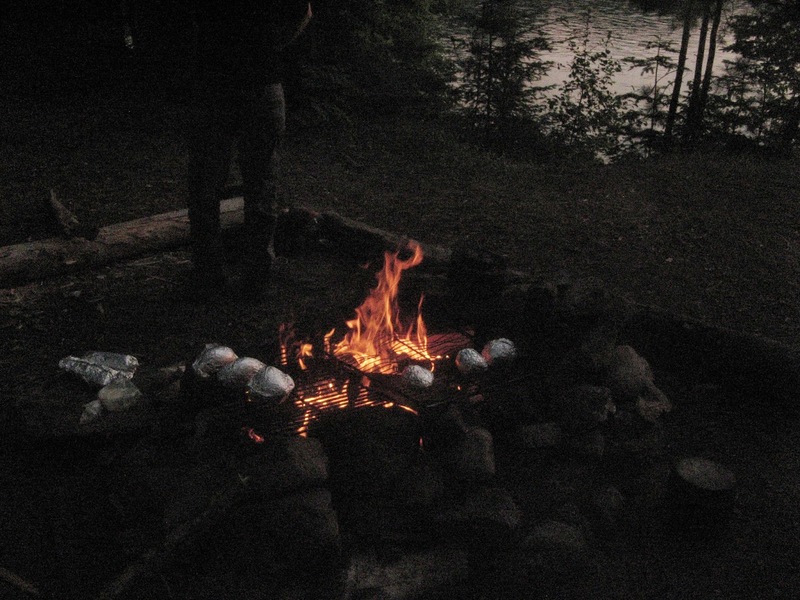 And later, the pain in my back eased; we ate supper, shared laughs with friends around the fire…. things were okay. Good, even. For the next three days we fished, swam, ate, told stories. Watched Chris, the son of Hubby’s long time fishing buddy, try to learn, somewhat unsuccessfully, to flip a huge pancake like his dad does. Apparently it’s all about the knee action. Don’t ask; it’s complicated. We tried each night to get a halfway decent shot of the huge red sun just as it slipped below the horizon. We howled at the wolves and waited for an answer. One night Hubby swore he heard them reply…. “That’s some guy from Toronto who’s camped on the big island,” we teased. 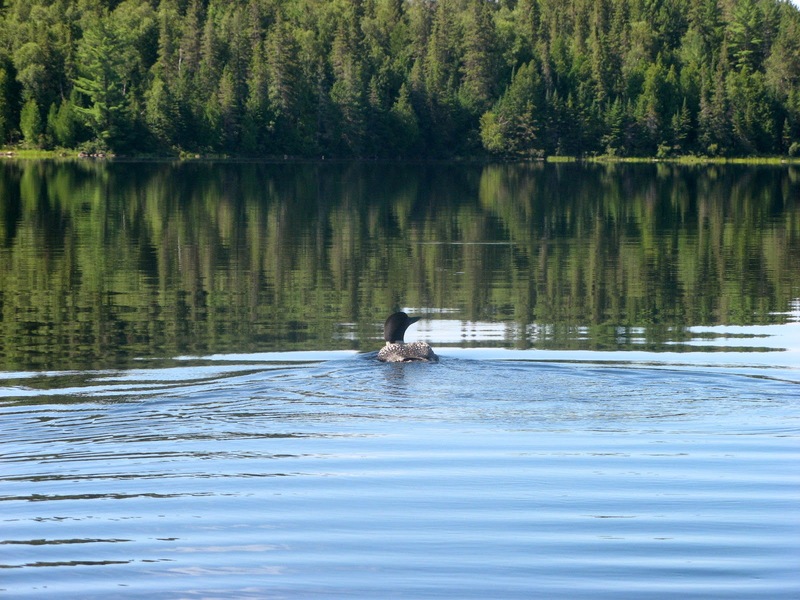 Our last night we sat quietly in the darkness and listened to the loons call. I love that sound. Makes me feel lonesome and right at home all at the same time. Then the bugs came out in force and we beat a hasty retreat to our tents. The day we left, I paddled out feeling okay. The wind was at our backs which was a bonus. Paddling into the wind is really strenuous and though you eventually get where you’re going… it can feel utterly futile at times. The sun shone and I even got a couple of good pictures. Still at the end of three hours of paddling and portaging, the sight of our old red truck was most welcome. We changed into the clean clothes that we had left in the truck and dreamed about the cheese burger we planned to order when we stopped for supper on the way back to Ottawa. Seriously though, you might ask… What was I thinking? The bugs, the pain, the rain, the dirt ….. the bears (well, there’s always the chance of bears.) Really, why do I continue to go on this trip? And you know, I’m not sure. There are moments when I am utterly convinced that I will NEVER come back. Like that moment under the tree. In fact re-reading my trip journal, I notice that there has been one of those moments pretty much every trip… since 1985. Bugs, or leaking tents, or ….well, something. And I was pretty sure for a while last Sunday that this would be my very last trip to Algonquin Park. But I’ve grown to love being out there… in the wilderness….most of the time. And when we get back home I can’t describe my feeling of accomplishment. I DID this! Me…. a naturally sedentary, hair obsessed, high heel wearing… wuss… not to put too fine a point on it. And doing it has changed me… I believe. For the better. My turn in the stern on our 2010 trip. And besides, isn’t paddling a canoe somehow an iconic Canadian thing? I’m thinking of Pierre Trudeau in a buckskin jacket paddling a birch bark canoe… or Margaret Atwood… or Tom Thompson. All quintessentially Canadian, all canoeists. And now … me. Okay, now I really do have to wrap up this post. And go make a couple of phone calls … for appointments… let’s see… physio… pedicure…. I thought you'd like the Atwood mention. I looked all over the net for a shot of her in a canoe with no luck. Did you canoe in the park when you were a kid? Nice post. This reminds me of going to King Lake (without the portaging). I'm glad your back felt better and the weather improved. Thanks Aethne. Btw I'm really enjoying your pictures on FB. I know exactly the ambivalence you speak of, and I'm also married to a one-time canoeist (who has switched to the kayak these last couple of decades, but once paddled across Canada to Montreal, and spent one summer on Samuel Hearne's Coppermine route). The canoe figured in our courtship and we canoed on our honeymoon, but there hasn't been much camping these last few decades. I admire you for getting out there and staying out despite the pain and discomfort — I really like my mattress and I don't mean the Thinsulate or Air variety! Thanks Mater. Some of the trips my husband has made would make you cringe….at least they did me. He was one of a team of canoeists who helped the original owner of Black Feather (an iconic outfitters company here in Ontario) "find" good canoe routes in very inaccessible parts of the province. I'm not up for the really extreme stuff…nor is he anymore, thank goodness. Funny, looks like a good time! I've loved reading this "trip report" Sue, as much as I did the first time, a year or so ago, when I first found your blog. I admire you so much for just " getting out there" and being determined not to give in. Consequently it seems that you get so much pleasure from these trips and knowing that Stu would have taken you back home, has got to help. Hoping not to sound judgemental but I struggle to understand why people aren't willing at least to " have a go" and join their partners, participating in interests out of their comfort zone. In my case trying a ski bike on the Eiger Run ….a crazy, long and steep sledging run. I tried! But definitely prefer a sledge ….nearer to the ground when you fall off!! and I've mentioned before our experience canoeing en famille on Moraine Lake in Canada …not one of our most successful days! I've just discovered your blog so I'm very thankful you re-posted this today, I really enjoyed it. You're such a talented writer, I was there with you in your misery! We haven't done a canoe trip in years, the last one was when I was pregnant with our youngest, unknowingly. I remember feeling quite unwell and that's about it. But I do love to canoe and we spend time in the Park every summer at a lodge, just before we pick up our kids from camp. Our youngest goes to Tanamakoon, our middle went to Northway and our oldest went to Pathfinder (where he did a 30 day trip (!) and then worked as a counsellor for a couple of summers). The Park is so great for kids, our son at 23 says it's the best thing we did for him when he was growing up. So weird because just this morning I was thinking that we should do a canoe/portage trip with our son, he's done uni now and working a real job in Toronto and I know he misses the Park so much. I'm a bit of a wimp when it comes to camping (though I love love to paddle) but maybe I'll channel some of your courage and go for it. Thanks and I can't wait to catch up on other posts I've missed! Thanks so much, Dani. I agree that learning to be in the wilderness is such a great thing for kids. Builds self reliance and confidence. It's great that your kids appreciate your sending them to camp in the park. I never had that opportunity when I was growing up. And I'm lucky that my husband was able to teach me all that. Hope you enjoy further exploring my blog. Thanks, Dottoressa. I'm not sure I'm brave… but maybe I have a little bit of my grandmother Sullivan's grit in me. I know that afterwards I'm pretty proud of myself for not giving up. Looking forward to reading your next guest post on Frances' blog. Haven't been able to chime in lately – a glitch again . Anyway hope you are having a good trip & I wanted to say how much I would have enjoyed joining your get together with Mater – or even being a fly on the wall ! That would have been fun, wouldn't it? Guess we'll just have to both fly over to York one day. I think we'll have to return to canoeing. We had a big, heavy, metal canoe for years and did many river and lake trips with it. We left it with friends on a mountain lake one year, and it was dashed on the rocks and actually bent in two in a mighty windstorm. Now we kayak and use our very-old but trusty motor boat on the Columbia River. The drawback of the kayak is that Henry, our long, tall Golden Retriever, won't fit in it. He used to swim beside us, but since he is now 13.5 years old, I don't want him to have to swim long distances (although he would do it). So, inspired by you two and wanting to go beyond where our car or bikes will take us, I think we'll look for a canoe that is big enough for Henry (and Bob, our dachshund, who does fit in and on the kayak) but light enough for Scott and me to portage. I'll let you know how it goes…! P.S. 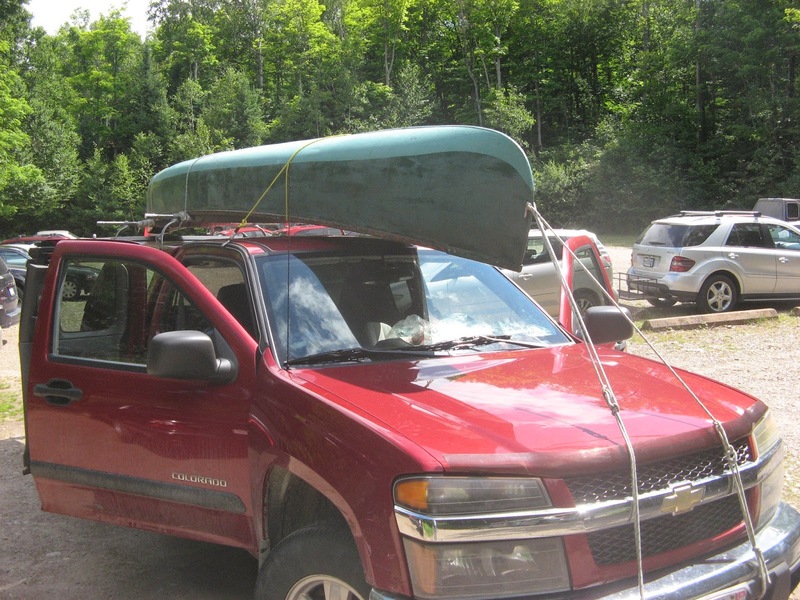 How did you avoid exacerbating your back pain by portaging the canoe that day? I think you are one determined person, a trait I greatly admire! I only carry a pack, not the canoe. We have a fiberglass Kevlar canoe, light enough for Stu to carry it and a large canoe pack at the same time. And when my pack was strapped on properly it actually supported my back. It was the sitting and stretching and reaching with the paddle that was the problem. I have a picture in my head, now, of you and your husband with two kayaks, one dog on board and one following in your wake. Like a wagon train. 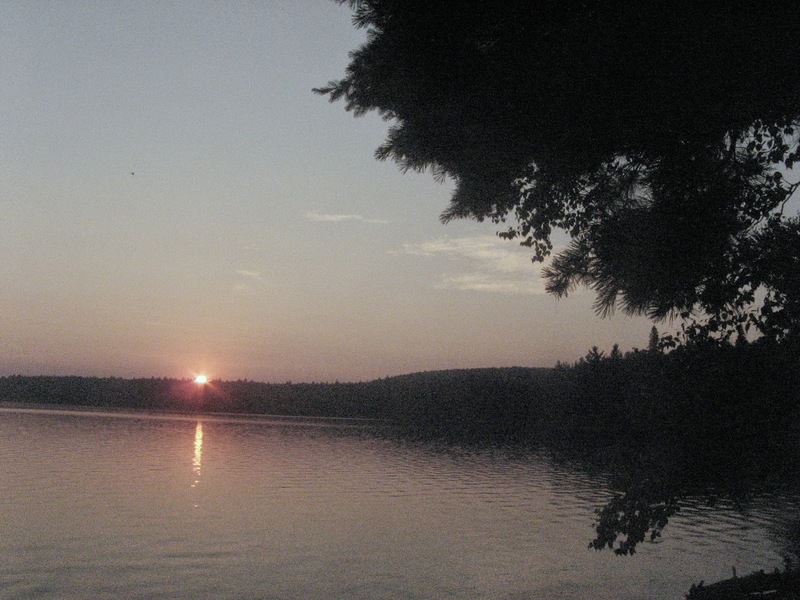 Many memories of all the summers we spent on a deserted lake in Maine. Oh the loons. I will never, ever forget them. And that lake water: we would go down to the bath house at 7 AM and dip in, soap up, and dip in again (starko, mind you!) No warm, running water in all the camp. It was heaven. The first time my to-be-husband came up he thought we were all totally nuts to actually enjoy bathing in that freezing water early in the morning! It's all what you're used to, isn't it? This was a wonderful story: thanks for sharing! Loons are wonderful, aren't they? That bathing must have been like swimming in the Atlantic off PEI. And when we brought friends with us one summer who couldn't imagine getting into the water it was so cold. But I couldn't imagine being on the ocean and NOT going in. In a word: Killarney. 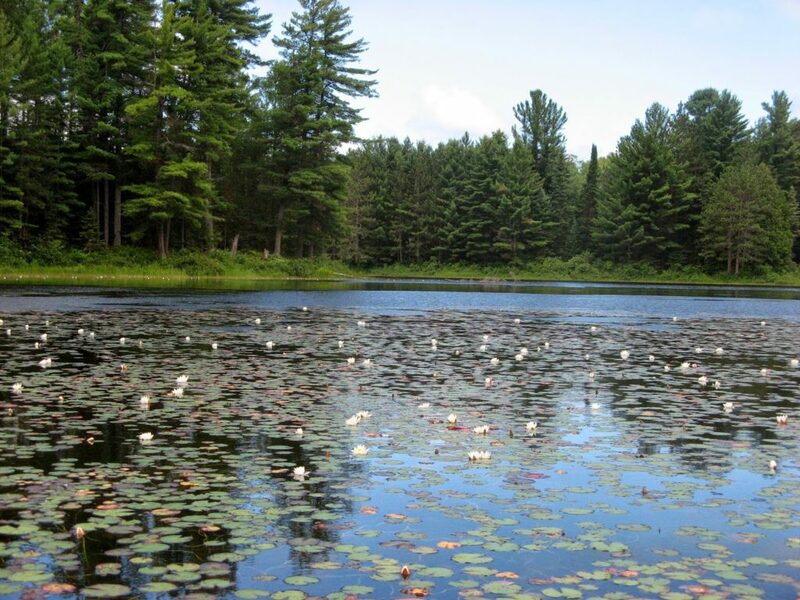 Might it be time to enjoy the glories of Algonquin Park, but sleep in heritage lodge?